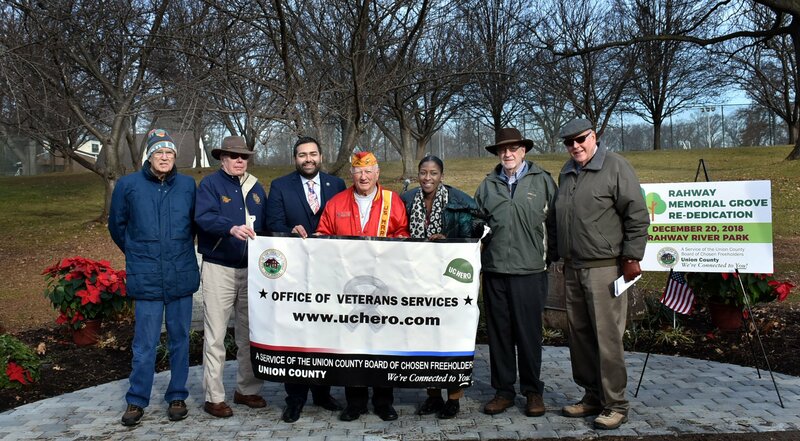 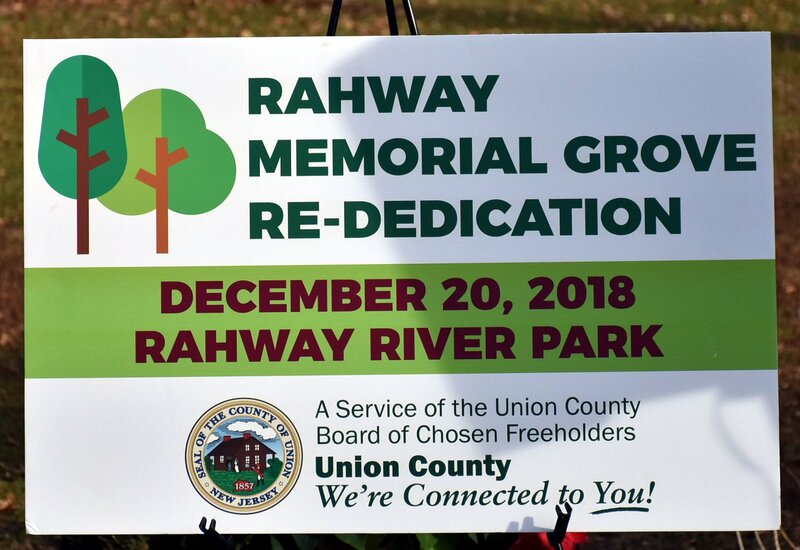 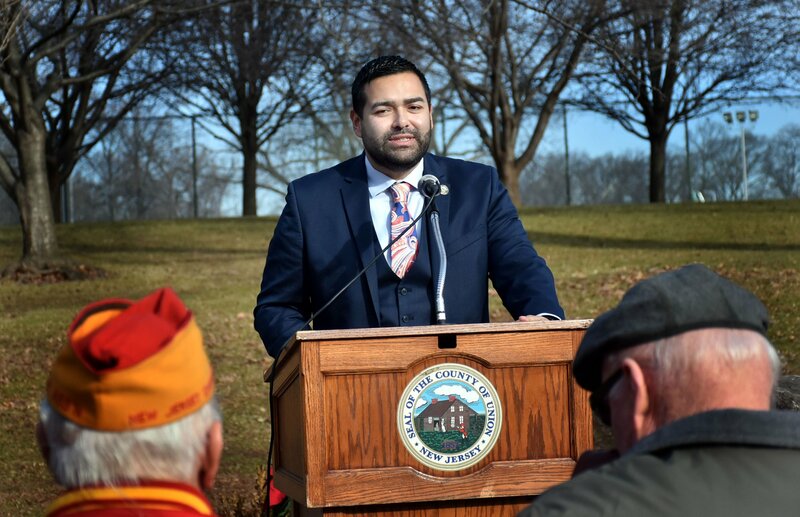 Union County Freeholder Chairman Sergio Granados joined Union County Office of Veteran Services Coordinator Janna Williams and military veterans at the ribbon cutting marking the restoration of the Rahway Memorial Grove, a World War II memorial located in Union County’s Rahway River Park in Rahway. 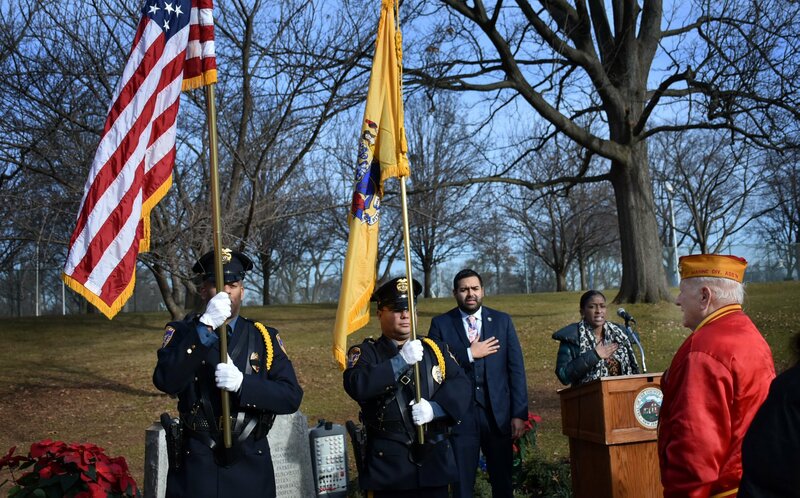 The memorial was established in 1947 by the families of 58 Rahway residents who lost their lives in World War II. 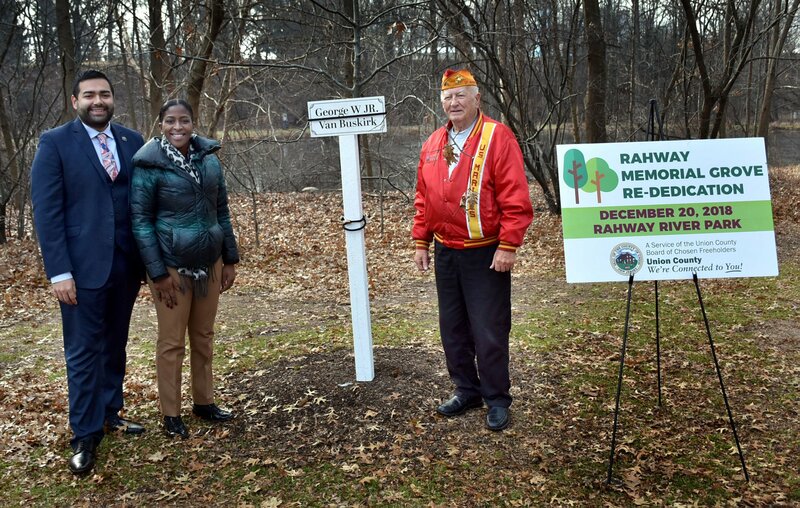 They planted total of 58 oak trees in various places in the park, and placed a stone memorial holding a plaque that lists the names of each of the 58 who gave their lives. 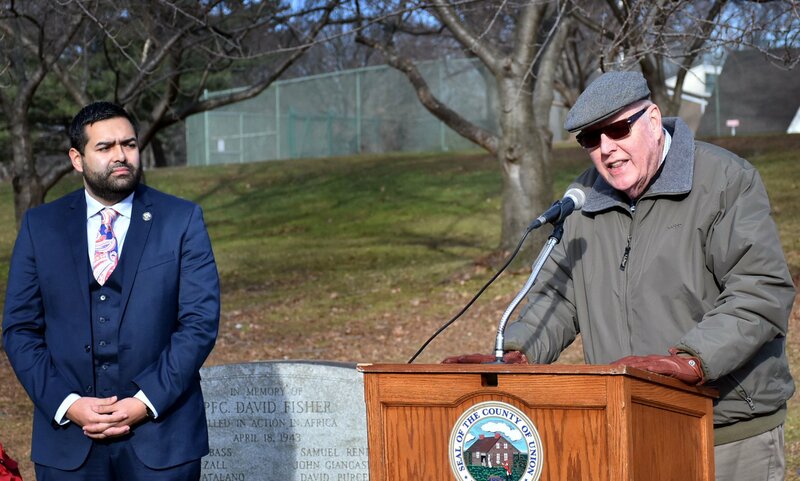 A total of 43 mature oak trees remain from the original 58 plantings. 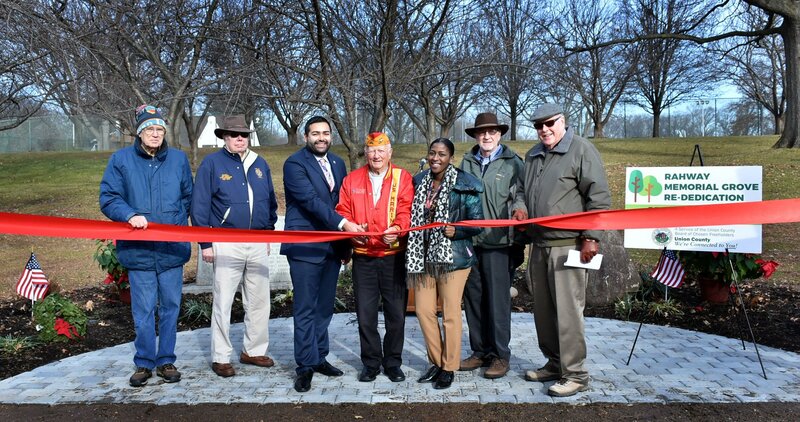 As part of the restoration project, this year 15 new trees were planted to replace the missing ones. 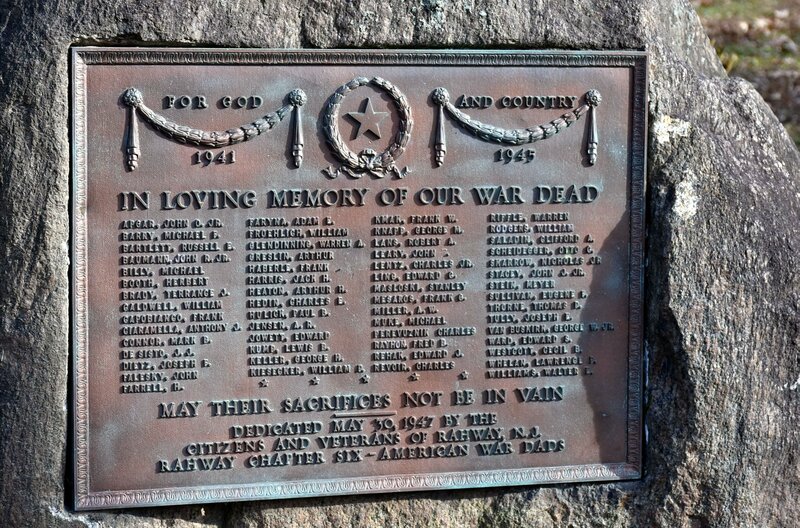 The stone memorial was also moved to a new location in the park where it is more visible to passers-by.